The selected teams for this week’s NFNL senior football matches. 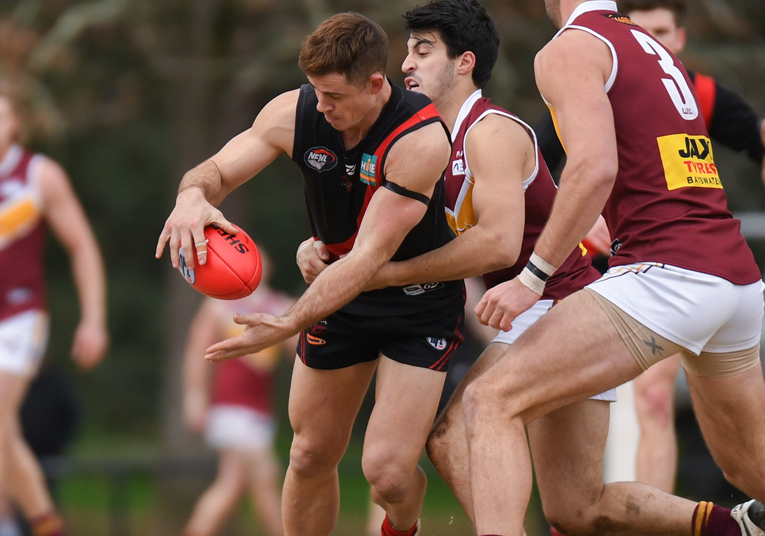 Eltham co-captain Josh Merkel returns from injury to lead his side in the A Plus Labour Solutions Division 2 Grand Final against Lower Plenty at Preston City Oval on Saturday. Merkel has been restricted to just seven games in 2018, but did play in four consecutive matches between Round 15 to 18, before missing the second semi final win a fortnight ago. Lower Plenty has named an extended side for the premiership decider, with Oliver Wilson and Jordan Jackson among the four names added to the squad of 25. Mitch Dillon is one of three inclusions for North Heidelberg ahead of the Meadows Greyhounds Division 1 preliminary final on Sunday. It will be his first senior match since Round 15. The Bulldogs have suffered a blow however, with Billy Hogan set to miss. Hogan was among the best players on the ground in his side’s qualifying final win over West Preston-Lakeside a fortnight ago. The Roosters have added Ozgur Uysal and Garrett McDonagh to an extended squad. Uysal has booted 17 goals in 19 matches this year and missed his first game for the season in last week’s win over Bundoora. McDonagh has played just seven games this year, the last of which was back in Round 12. Continue below for all the team changes. Click on the links to see the selected teams.